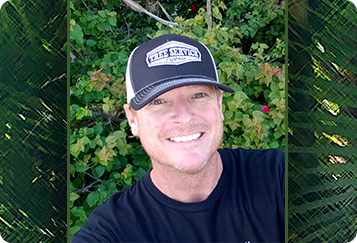 Tree Services in Melbourne, FL - Tree Service Express, Inc. Trees are a valuable part of almost any property in Melbourne, FL, offering increased curb appeal and even adding value. They are one of the first things that many buyers look for in a home, in fact, and sometimes their absence can be a deal-breaker. That doesn't mean that owning a property with trees is an easy endeavor, however, as it can sometimes be quite difficult to maintain the health of your trees on your own. This often comes as a surprise to the new property owners simply because not much thought tends to be put into caring for trees. Most people focus on maintaining the home, or other structure, itself. No matter how big or small the job, the experts at Tree Service Express, Inc., can help. Often overlooked, tree maintenance is an absolutely vital part of tree ownership. It's tempting to believe that nature will simply take care of your tree's needs, however that is not the case. It is important that you understand the care that must go into maintaining your trees' healthy and safety. This includes things like pruning and trimming them regularly, both activities that are a lot more arduous than they initially appear. Pruning a tree is one of the most basic maintenance measures to be taken and should be done on a regular basis. This can be a deceptively simple task in that it's not actually simple at all. Many people are tempted to just climb up their ladder and cut some parts of the tree off with their saw. Unfortunately, there are right and wrong areas to cut. An experienced arborist understands where to cut in order to help keep the tree healthy and promote its growth as well as how to make the necessary cuts. Failing to properly prune and trim your tree can lead to trees that are rotting, diseased, and even full of insect infestations. Once trees end up in this state, it is extremely hard to salvage them, and you could find yourself paying for the removal of what was once a beautiful addition to property. If you opt to hire professionals and allow them to take care of the trees to begin with, however, you will be able to enjoy them for years to come. While we will do everything we can to salvage a tree, sometimes it is simply not possible and the tree must be removed - and sometimes the tree simply needs to be removed because the land it sits on needs to be used. Whatever reason you have for removing your tree, the experts at Tree Service Express, Inc., are ready to help. It should be noted that removing a tree is absolutely a job for professionals and attempting to do so yourself could lead to injury and damage to both person and property. Envision part of a tree falling on your home or your vehicle - or even upon someone standing below - and you have a pretty good idea why this is a job best left to those experienced in carrying it out. If you need to have a tree removed, Tree Service Express, Inc., can take care of it. This is true even if the tree is particularly large or is situated in a dangerous or awkward location. We have many years of experience behind us and are able to remove even the most stubborn of trees. Better yet, we do so safely and quickly, ensuring that your property returns to normal as soon as possible without sacrificing safety along the way. One of the most frustrating aspects of owning a tree is watching it be damaged due to no fault of your own. Unfortunately, Melbourne, Florida is no stranger to tropical storms and hurricanes, and they often leave trees splintered and damaged in their wake. When that happens, it's time to call the professionals for some help in cleaning up the damage. We have experience in cleaning all manner of property from storm damage. This includes clearing large debris and tree limbs as well as assessing the remaining trees and salvaging any that can be saved. We'll work hard to ensure that you don't lose a single tree that can be saved if at all possible. If they can't be saved or are no longer safe, then we'll also take care of removing them from your property. In addition to cleanup services, we are also happy to offer our clients storm damage prevention services. Allow us to assess your land and the trees on it and take care to ensure they are strong enough to withstand storms and that you experience as little damage as possible. In addition to all of the services described above, Tree Service Express, Inc., also offers roof and gutter cleaning services. It is important to maintain clear gutters, but it can be a hassle to do so. We'll ensure that your gutters are clear and flow easily! This is true even if they are currently clogged. The same is true of your roof. Over time, roofs become littered with various debris and need to be cleaned in order to remain functional. We offer impeccable roof cleaning services and will clear your roof of algae, dirt, and even things like rotting leaves and other debris. This will help make sure that your roof is in good condition for years to come. If you are in need of tree, roof, or gutter services in the Melbourne area, call Tree Service Express, Inc., today! We are happy to help.